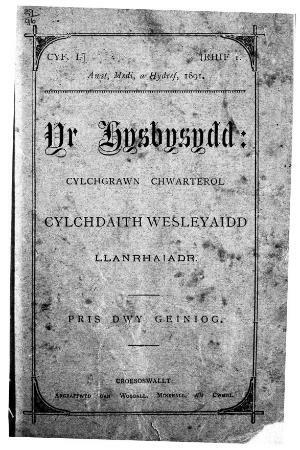 The quarterly Welsh language periodical of the Llanrhaeadr Wesleyan Methodist circuit. The periodical's main contents were religious articles and denominational news from the circuit. Amongst the periodical's editors were Edward Humphreys, Thomas Isfryn Hughes (1865-1942) and Edward Tegla Davies (1880-1967).